Since transferring to Mizuno MP-54s from my Taylormade RAC I have actually made considerable improvements in my irons. As in, where I used to be so afraid of hitting my iron shots especially 6 iron downwards, I’m actually now looking forward to it. Anything especially 8 iron onwards is delicious to me – because with the MPs, I’ve actually have some sort of control on my flight. Plus, it’s so darn beautiful. 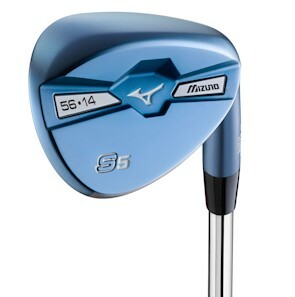 This month, the Satin Blue S5 Mizuno Wedge is going to hit our markets – or at least the US (not sure when in Malaysia), but my gawd, it makes me drool. Blue is like my all time favourite colour – satin blue is just ridiculously obvious that I am so surprised nobody has thought about this. In any case, why don’t people just come up with groovy colours for their wedges? How about superman red? I’m the kind of guy who will wander off into a golf shop and just oogle at the Mizuno irons. Something about it really attracts me. I’ll probably start an article exploring Mizuno irons from here on. I believe once any golfer gets started with an MP iron, it’s really hard to go back playing the other irons.